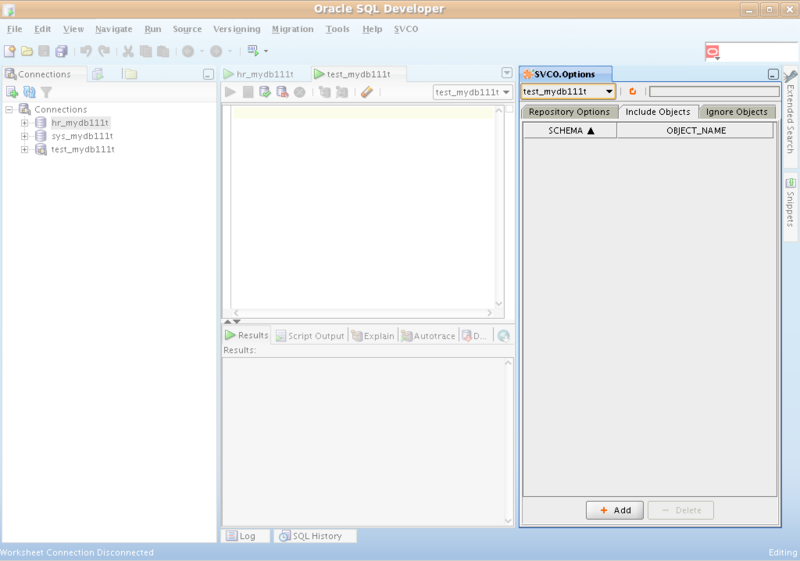 Start Oracle SQL Developer then select menu SVCO -> Install. Select or create new connection where you would like to install SVCO, please login as SYS user. still exists even in SQL Developer 1.5.5, you should answer (do not leave empty = default) all questions during execution of install.sql script. You could uninstall SVCO selecting menu SVCO -> Uninstall. 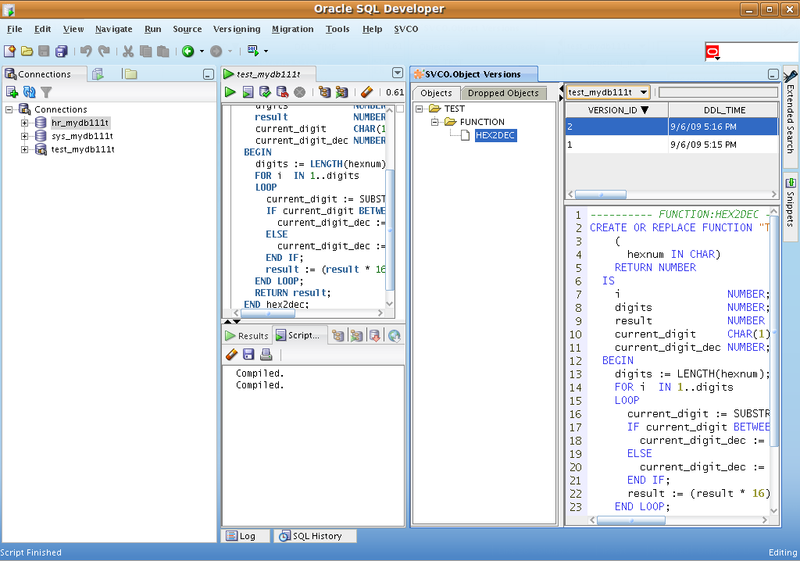 Start Oracle SQL Developer then select menu SVCO -> Options. Select appropriate connection, then choose Include Objects. Press Add button and enter % (assuming you would like to track all HR schema objects), press OK button. Select menu SVCO -> Synchronize with Repository. Select appropriate connection and press OK button. Choose HR and press OK button. 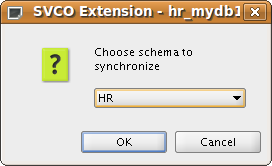 The SVCO will create initial versions for all objects in HR schema. 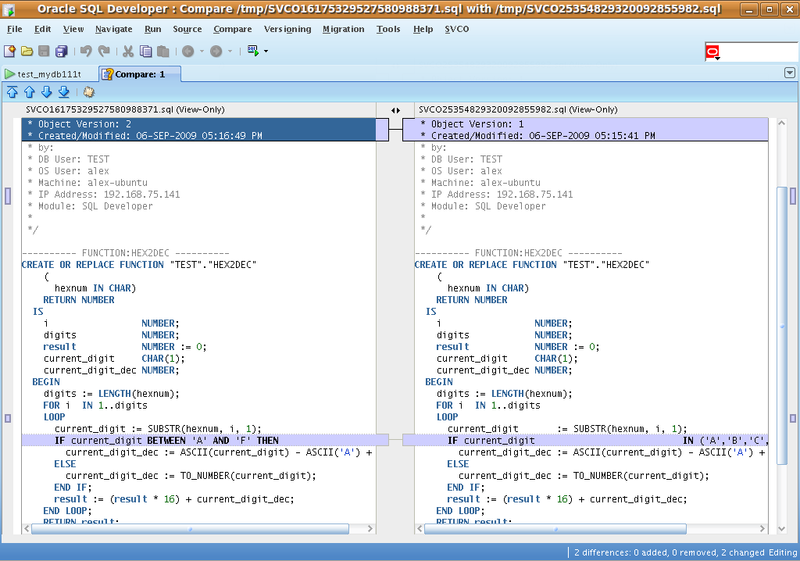 You could browse objects versions selecting menu SVCO -> Browse Object Versions. Press Add button and enter % (assuming you would like to track all TEST schema objects), press OK button. Create any schema object as TEST user. 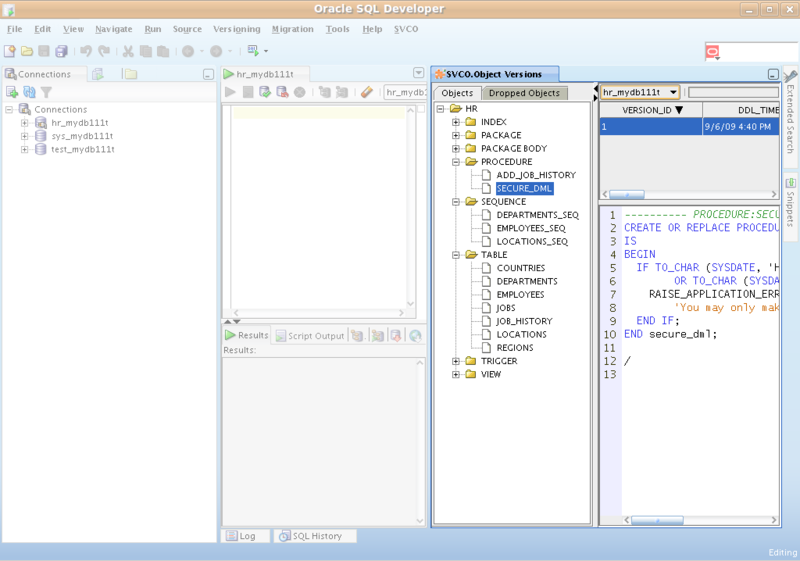 Check object version selecting menu SVCO -> Browse Object Versions. 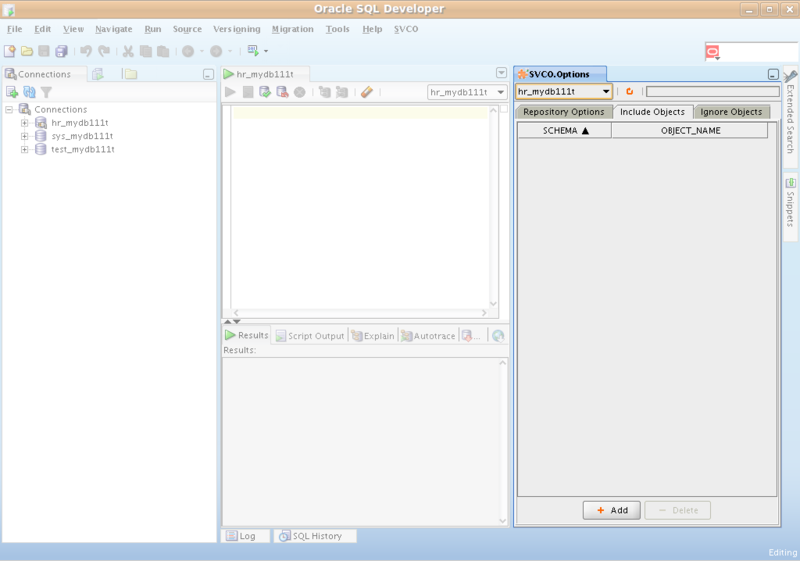 Modify object, created on Step 5 to see new version tracked by SVCO – Step 6. 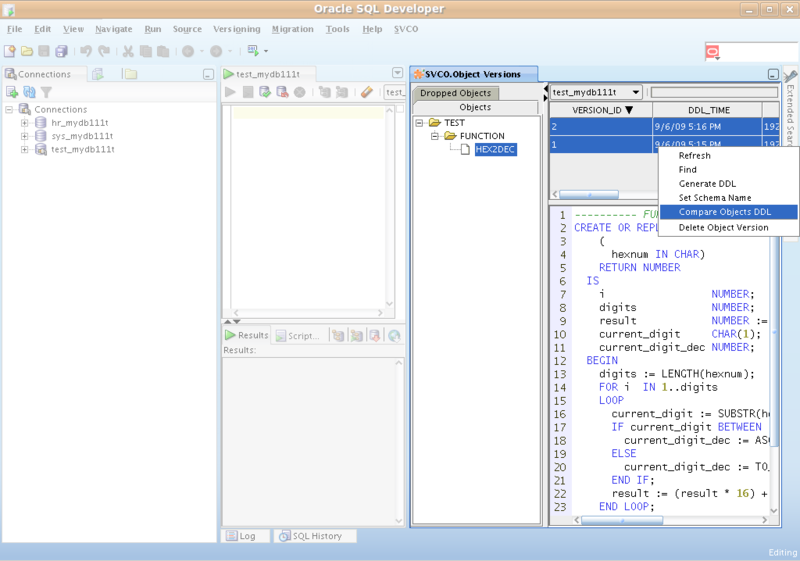 Start Oracle SQL Developer then select menu SVCO -> Browse Object Versions . In "SVCO.Object Versions" window select appropriate connection. Select object which has more when one version in left tree. Mark object versions you would like to compare and then in popup menu select Compare Objects DDL.